After debuting the motion graphics piece that We Are How created for the 2012 Shot@Life campaign, their Senior Director shared “We got standing ovation mid-video… people were crying. Loved it. All thanks to you!” It hard to find an example of more meaningful or impactful design work than instances like this. 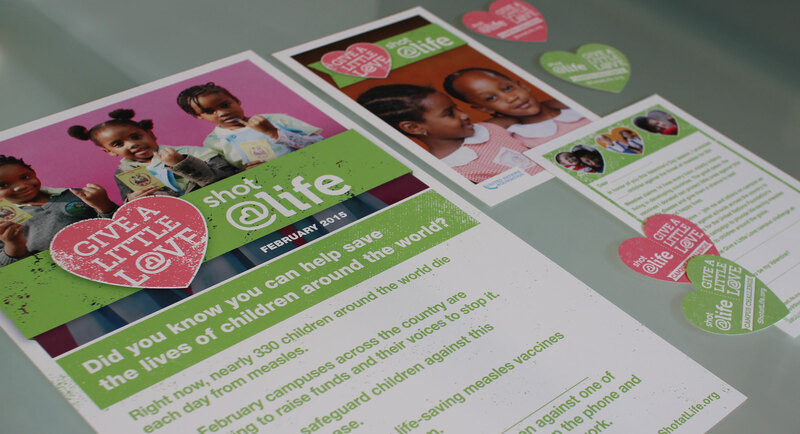 Shot@Life, a global health campaign within the United Nations Foundation, focuses on providing life-saving vaccines to children worldwide. We Are How created various communications for the campaign, including an identity and supporting materials for their annual “Blogust” campaign (an online campaign that focuses on engagement through blog activity throughout the month of August to raise awareness and donations). 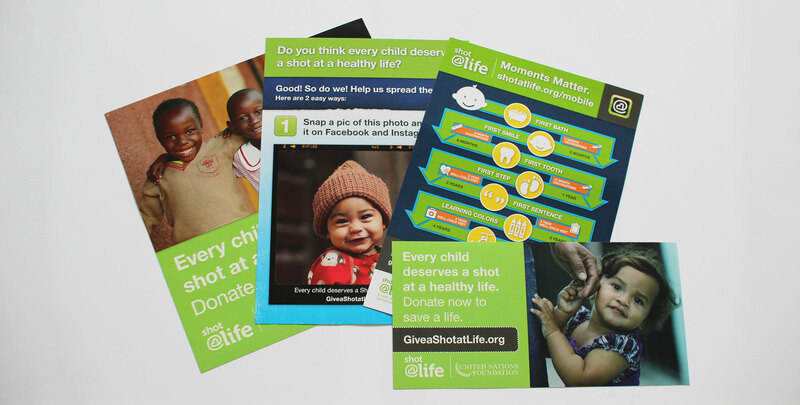 Our work was leveraged across multiple platforms: showcase motion graphics pieces to explain their innovative sponsorship model, an array of print and promotional materials, and logos targeting specific audiences while maintaining the overall Shot@Life brand.